Even though we are primarily on a fishing expedition, we have time to go for a bike ride when the fishing is not happening. 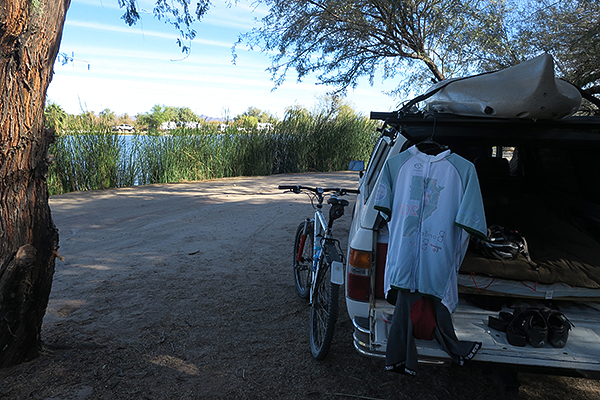 We are camped out in the Arizona desert near Yuma, AZ, where there are plenty of places to ride bikes, especially on the hundreds of miles of gravel roads. 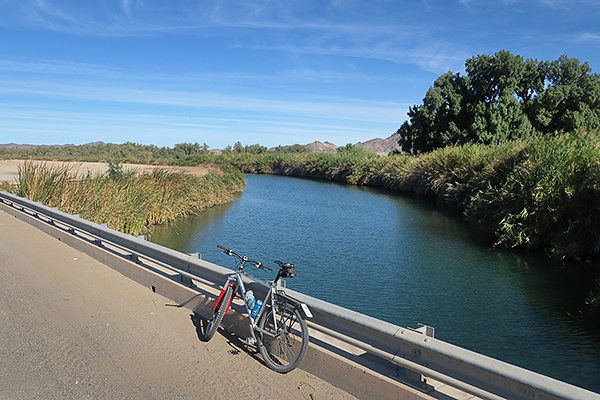 There is plenty of sandy singletrack and desert hills, but recently we’ve been grinding the gravel roads along the many irrigation canals, exploring the area for potential fishing spots. 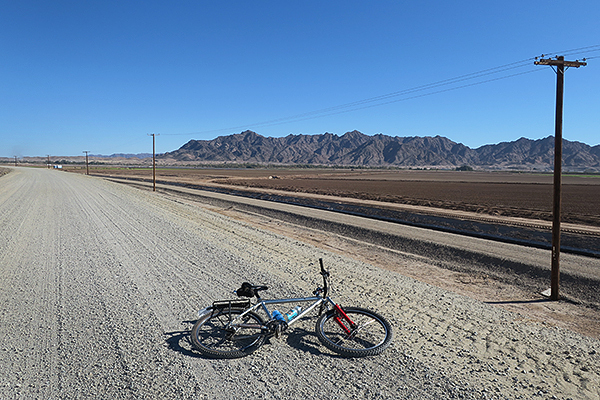 The roads are washboard gravel with a generous helping of dust. 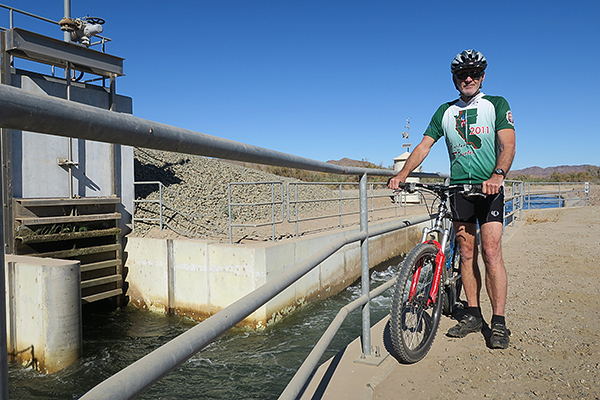 You get a break from the dust by stopping along the irrigation canals. This is the Gila Gravity Canal, one of the major water sources in the area. We were looking for places to fish. This is a “switching station” of pumps and gates that divert water from the main canals into smaller irrigation canals. If it was not for this water, this area would be desert wasteland. Because of the imported water, this area provides a great deal of the fresh vegetables during the North American winter. We’ll be heading a bit more off road in the future, so stay tuned!